TransMark’s print-on-demand technology both speeds up and simplifies the marking of your products, making your production more responsive and easier to manage. You can apply information to your belts quickly and efficiently via a system that easily integrates with your production processes. 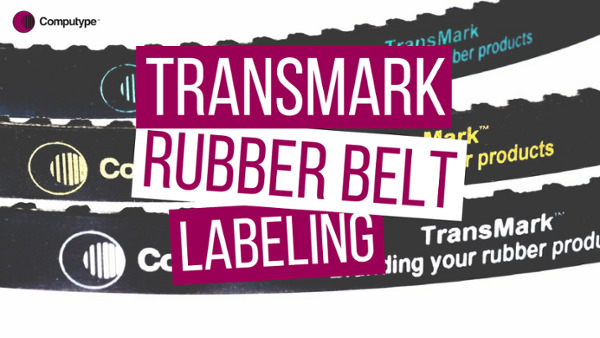 Gain practical, flexible belt printing - TransMark includes a roll of film and ribbon and uses an industrial thermal transfer printer to print your design on-demand. With Computype there’s no reason why your rubber belts can’t support a brand in color, and even achieve Pantone reproduction. We can guarantee that key product information will also remain legible in a range of different colors.